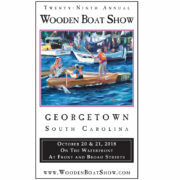 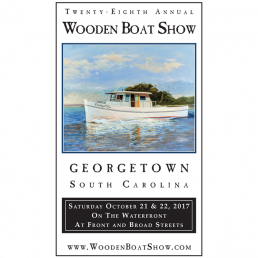 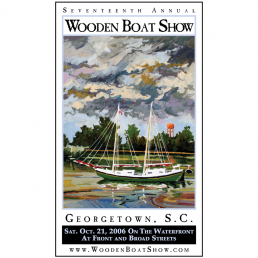 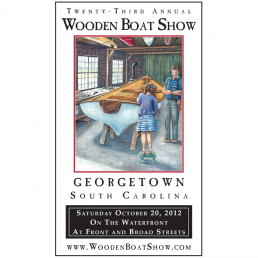 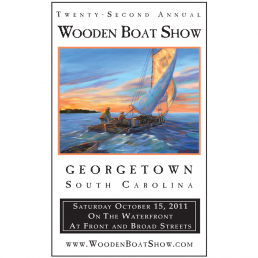 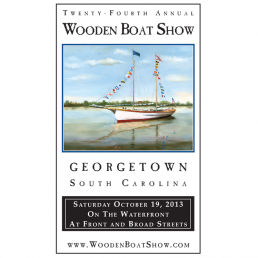 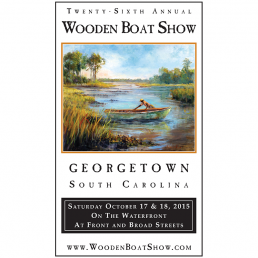 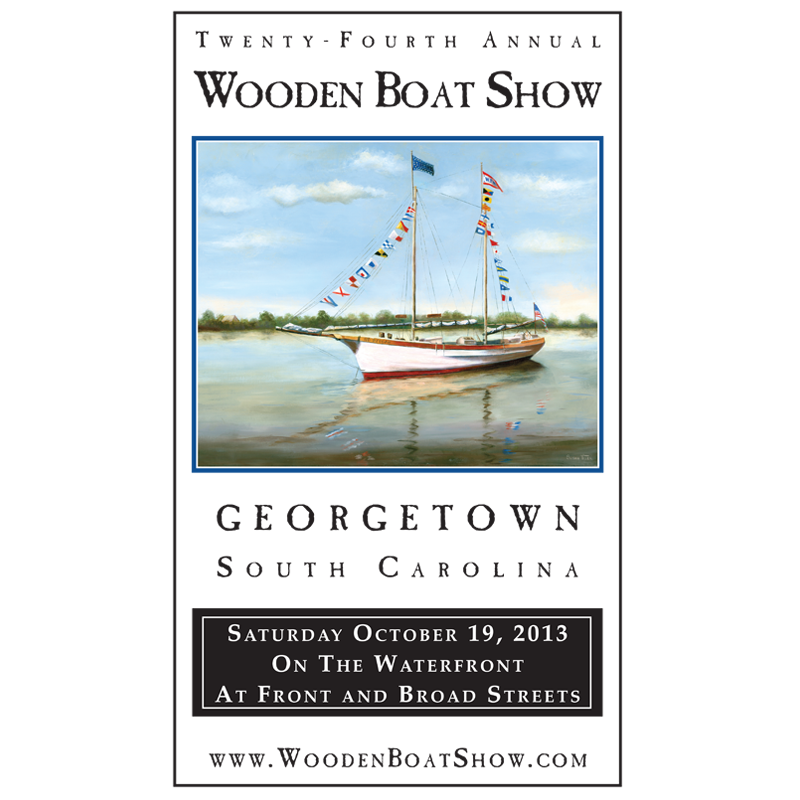 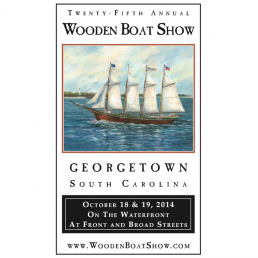 Susan Tiller recreated and enhanced a valuable piece of Georgetown history with her painting titled “Dressed for the Occasion,” which is featured on the 2013 Wooden Boat Show poster. 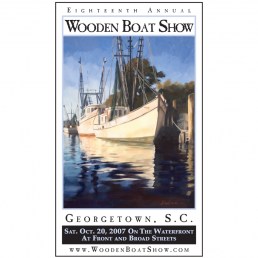 Tiller’s painting is based on a historic black and white photo of the pilot boat W.D. 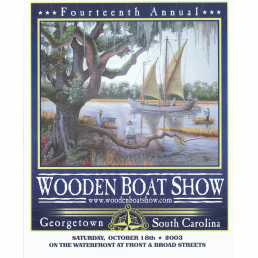 Morgan taken on Dec. 19, 1905, when Georgetown celebrated its incorporation centennial with a street parade and a boat parade. 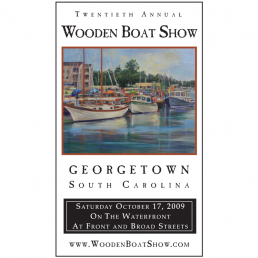 (Pilot boats help guide ships into harbors.) 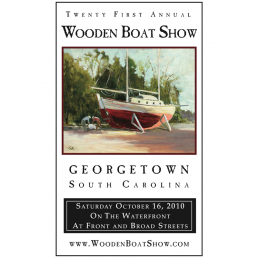 The boat’s namesake owner, W.D. 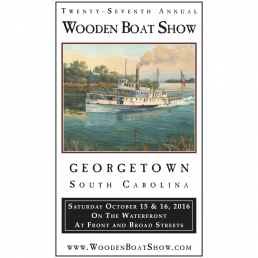 Morgan, was a much beloved mayor of Georgetown from 1892-1906, and he used the pilot boat as a yacht.